Reservation Genie is an online reservation system competing with what amounts to a monopoly. We know that restaurant patrons are accustomed to booking reservations on Open Table and we know that system works well for them. What many patrons don’t know is that Open Table charges restaurants up to $7.50 per person booked in a reservation on top of a $199 monthly fee. This frequently leads to invoices over $1,000 per month and in extreme cases $10,000 per month. Restaurants, in turn, must pass this cost on to patrons in the form of higher menu prices or cutting corners on quality. These per person fees are called cover fees and Reservation Genie has designed a system that eliminates cover fees from patron reservations and charges a flat rate of only $49 per month. 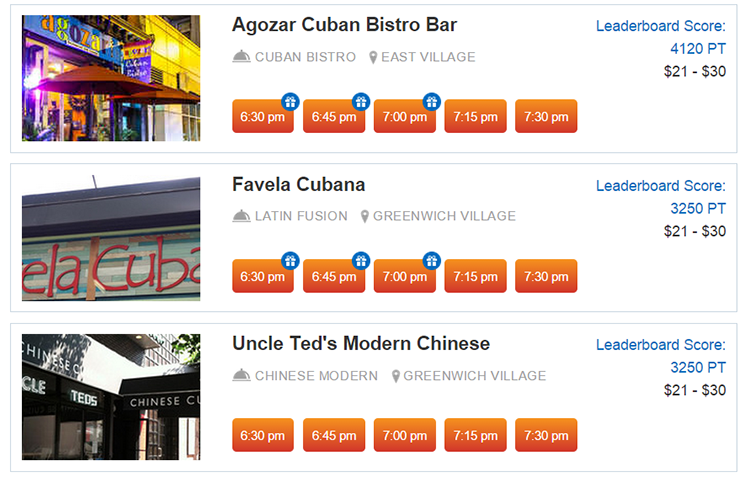 Furthermore, Reservation Genie has added several tools that help restaurants reward customer loyalty. So, given the option, we hope you consider searching for restaurants on Reservation Genie before turning to Open Table. No cover fees = lower cost to restaurants = lower menu prices. 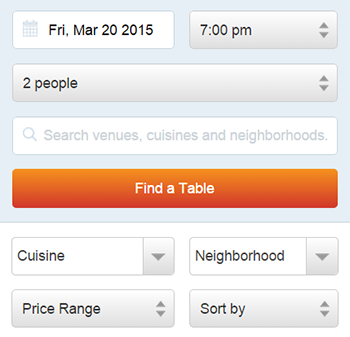 Reservation Genie recently unveiled its new “Search & Filter” platform in core cities that help you search for available tables by date, time, and party size as well as filter for cuisine and neighborhood. You can even sort by distance. These tools are getting strong traction in places like New York City where restaurants have banded together to support a system that eliminates cover fees from patron bookings. The restaurants do this by linking their websites to book reservations through Reservation Genie, which introduces patrons to the system. Every customer introduced to the Reservation Genie system represents one that won’t ever cost the restaurant a fee in the future. The more restaurants that band together, the stronger the community. It seems that too many business models reward one-time “coupon” customers instead of promoting positive qualities like customer loyalty. We at Reservation Genie believe this should be the other way around. Our VIP List system rewards top customers for coming back frequently. We do this with customizable “perks” that restaurants offer to their frequent customers. It doesn’t reward one-time “coupon” customers, but creates loyal patrons who come back frequently. Customers who want to earn rewards, simply keep coming back. Perks can be anything from a complimentary appetizer to 25% off the check. Of course, the more compelling the perk, the more engaging the VIP list. Use this link to learn more about VIP Perks or look for the graphic below while searching in your city. Reservation Genie also offers a program called Off Peak Hour Perks. This works a lot like Open Table’s 1000 point table model (called POP tables to restaurants). Restaurants can offer a perk to those who come in before or after the peak hours. Doing so helps lower wait list times during peak hours and helps the restaurant operate more smoothly thereby ensuring that customers receive the best possible experience. Restaurants do this by attaching a customizable perk such as a complimentary appetizer to a particular time slot. You can see a screen image below of some times highlighted with a gift icon in the upper right corner of each time slot. Patrons can mouse over these icons to see the perk attached to that time. This perk is given directly to the customer so there’s no middle man profiting from the incentive structure like Open Table does with its 1000 point tables. This can be a better deal for the customer than the $10 gift card Open Table offers for booking a 1000 point table. Plus you get the perk today instead of having to wait for a gift card. Meanwhile it costs restaurants a lot less than the $7.50 per person they pay Open Table for 1000 point tables. It’s a win-win scenario that leads to a better deal for both patrons and restaurants. It’s hard competing with a monopoly, but Reservation Genie is dedicated to the challenge and we enjoy the relationships we build with our dining community. Please feel free to comment in the area below, or reach out directly with questions, ideas, or concerns and we’ll do our very best to answer.